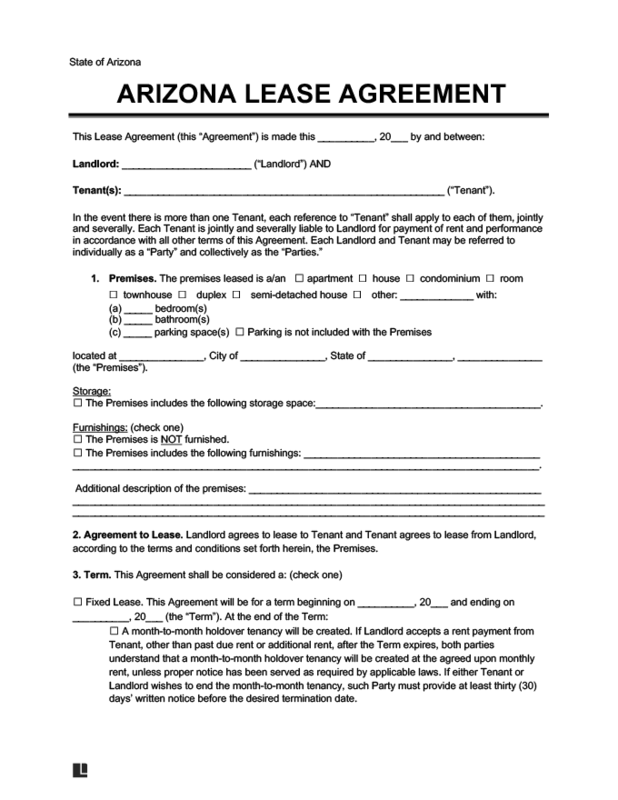 Use our attorney-drafted AZ Lease Agreement form to finalize the renting out of your house, apartment, condo, basement or attic. Rent details, such as the amount due, the amount of the security deposit, and the payment methods accepted. States do retain autonomy from the federal government and will often differ in various aspects of the rental and leasing process. It is important to acquaint yourself with the varying requirements, and understand the exact leasing details of your state. Understanding the differences will allow you to create a comprehensive and thorough Lease or Rental Agreement, saving you hassle and legal and financial issues in the future.